You can't be in a better place if you want to discover some new, mouth watering dishes. Here are Singapore's top three dishes to try! Singapore is going to take care of your stomach well when you are there. Especially if you are a sea food enthusiast, this city is going to offer you so many delicious dishes that you will not be able to decide what to have. However, there are some Singaporean dishes you must try when you are there. The famous Chilii Crab is one of those mouthwatering tastes you will be craving for the rest of your life once you eat it. Despite its name, the tomato and chilli dipped, fried crabs are not as spicy as one would expect. The dish ranks the 35th among CNN Go’s World’s Most Delicious Food compilation of 2011. 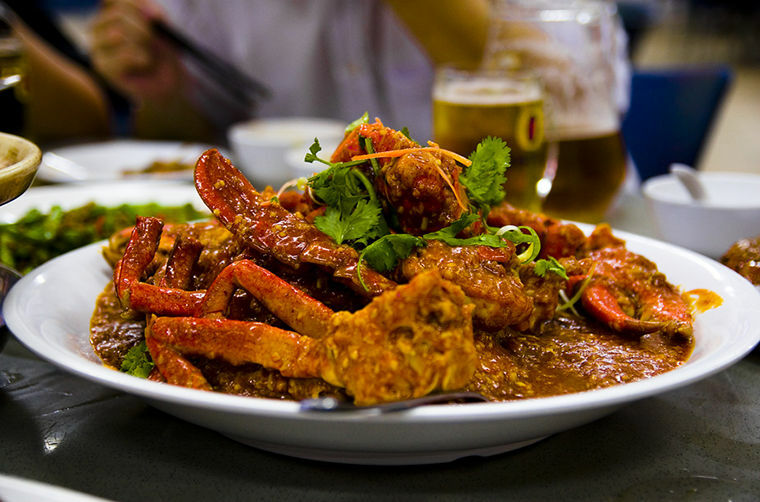 There are still debates about the chilli crab’s origin; some strong arguments about its being Malaysian is talked out loud however Singaporean cuisine proudly serves some of the most exquisite examples of this special bite despite those claims. Laksa is another dish that is famous in Singapore but has been claimed to have a different origin. It is a type of noodle soup and mentioned among the world’s most delicious foods list. Laksa comes in three different types: Curry laksa, cooked with curry and coconut, asam laksa which is the fish soup based one and Sarawak laksa. All these also have their sub-types and are made of different ingredients. When you head to a restaurant, they will probably be serving a number of different types of this savory dish. Sometimes the menus include the ingredients that are used, but asking your waiter about these and get a recommendation would always help. Hokkien Mee may be the only dish on this list that can be found solely in Singapore. Of course, the dish is known to other closer cultures however this special, fried Hokkien Mee can only be found in Singapore. It is consisted of noodles (what a surprise, ha?) and with the bee hoon (which is the regular name for the rice vermicelli in Singapore). According to your appetite, it may come along with grilled shrimps on top, sided by lemon pieces.